Once during the H1N1 outbreak, a local sports equipment store have gotten very creative- in their advertisement, not only that the offer tips to counter H1N1, but they’ve use this as an opportunity to promote home gyms. In fact, I’ve noticed that the company had really gotten really creative in their advertisements. Gym memberships are notably expensive- furthermore, you need to share your equipment and during peak time, you may need to wait for your turn to use your equipment. And because the equipments, dumbbells, exercise balls and mat are all shared- it gets a bit yucky touching these items. When you walk into the gym during peak time, the sweat and body odor in a packed gym really can assault your senses. Because of this, and also because you tend to be a bit self conscious, you may prefer to work out at the comfort and privacy of your home. So you get really taken by the ads by companies selling fitness equipment. When you walk into a home gym center, you are really tempted to purchase most, if not all the equipment. The sales consultant sold the benefits and almost convinced you of why you should have these equipments. To start a home gym or join a gym? Both can be a novelty- something that you may drop out of if your inner motivation is not strong enough. I’ve seen people signing up for gym memberships and stop going after a month or two when they do not see results. On the other hand, there are those who wasted thousands of dollars on impulse buys- and the equipment ended up collecting dust in the storeroom after a few months. 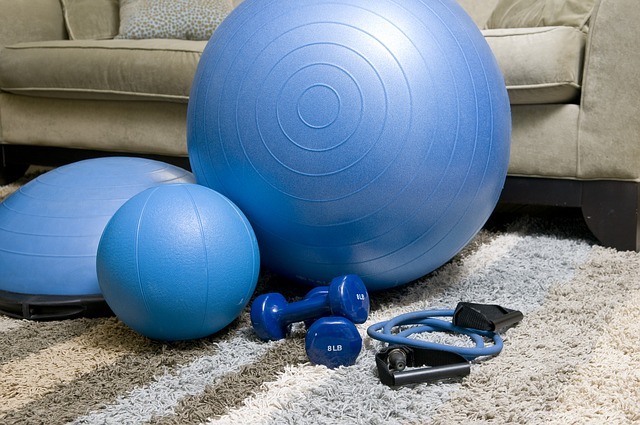 There was a period in time where I’ve quit the gym and purchase some home gym equipments. Paying the membership made me feel committed not to skip my exercise regime. Even though the membership gives a little dent in my income, but I consider it an investment to my health. For effective cardio, I have to exercise outdoors- and there are safety and weather conditions to consider. You do not want unpredictable weather to ruin your exercise plans. I could always drive to the nearest park to do my exercise, but I could only do that in the weekends when I am not working (because I finish work too late in the evenings to make it to the park). With the traffic jam and commuting time, and expensive petrol charges, it would be better to locate a gym that is either located near the office or home. You need reasons to motivate you to exercise, not deterrents that may ruin your already wobbly motivation. However, that’s just my point of view. If you have budget constraints and some other personal reasons that are deterring you from joining the gym, you can give home gym a try. With cable TV such as Discovery H&H or other fitness network, you can discover new exercise programs to do. There are a lot of varieties of exercise you can try. Else, there’s always exercise videos and YouTube. Give it a try if you can remain consistent for about 3 months before you start spending a lot of money on home gym equipment. Team up with some friends to join some sports club/swimming pool- or rent a court with low hourly rate. Commit to exercise, what’s more, it is a much more beneficial way to get together and group exercise tends to motivate you to stick on to your exercise program.